Labuan is a small island located just off the coast of Borneo. It is famous for cheap liquor and other general duty free goods. For me, its key attraction has always been the finger food! That's what I look for the minute I touch down from the plane. The locals have a penchant for light snacks at teatime. You can find all sorts of cakes being sold around town. 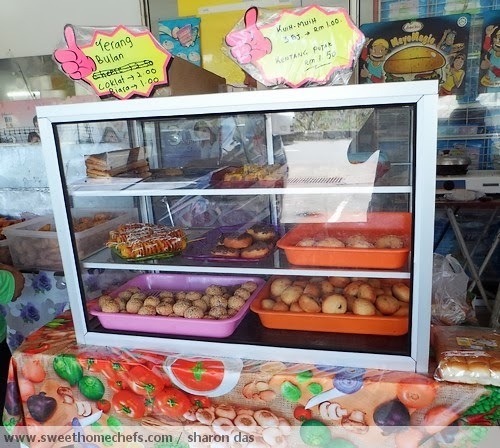 There are also stalls set up along the seaside for obvious reasons - no beach picnic is perfect without finger food! 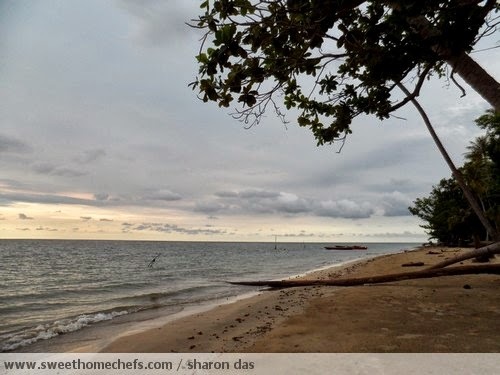 Below are photos of food I tried elsewhere... along Layang-Layangan Beach, to be exact. 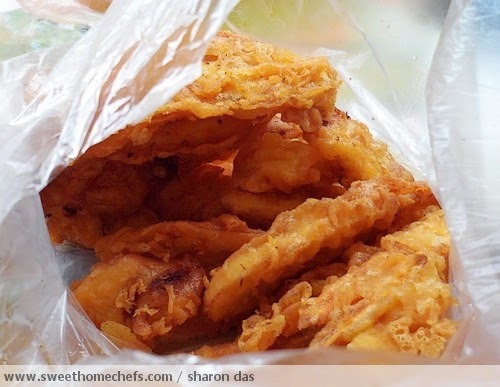 These are banana and sweet potato fritters, a very common find. Sweetish fruit and vegetable deep-fried in savory batter is, after all, a match made in crispy heaven. 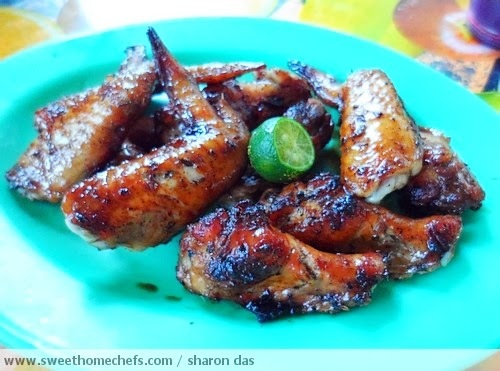 BBQ Chicken Wings is another local favourite. We usually drizzle calamansi lime juice over it and dip it in sweet chili soy sauce. There's an amazing mix of flavour in there - that bit of sour, sweet and spicy. 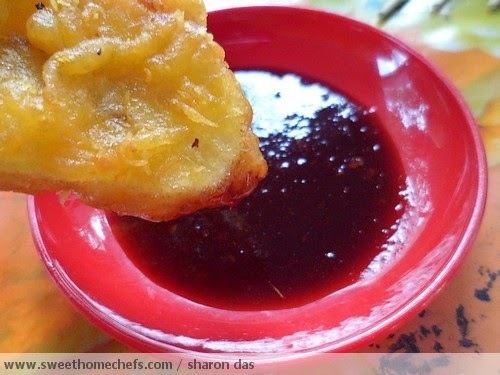 I also like dipping banana fritters into the same sweet chili soy sauce. It's something I picked up from Melaka folks. Try it, it's amazing. Then, there's Satay. 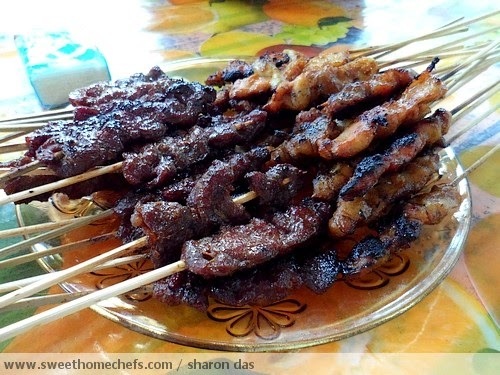 BBQ-ed meat on sticks, typically eaten dipped in a thick peanut sauce. 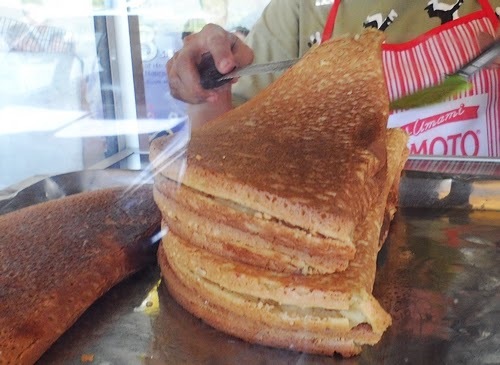 It is usually accompanied with slices of fresh cucumber and onion. 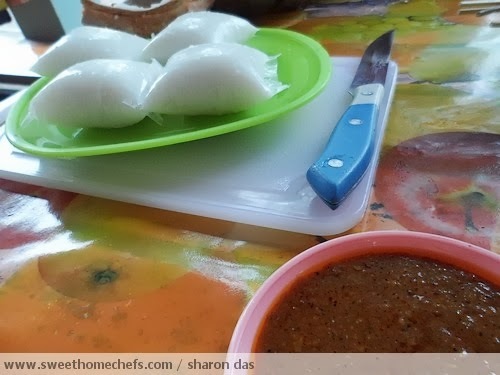 For something more filling, steamed rice cakes are usually ordered in addition. That's the end of my feasting. I can only stomach so much in one afternoon! I love finger food & can never resist bbq chicken wings!